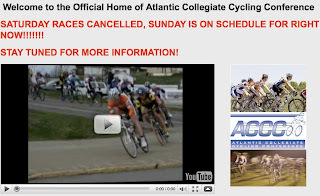 This weekend marks the beginning of the collegiate cycling season. To kick things off the team headed down to NC for a weekend of road racing. Seeing as this is my first weekend racing with the team I wanted to make sure I was prepared and had everything I needed, so I laid it all out on my bed and went down the checklist to make sure it was all there. Next on the list to get ready for the weekend was cleaning the bike, which was in desperate need of some TLC. I even bought new Fizik bar tape but decided not to redo my bars just yet since I figured the roads would be wet with the recent snow. 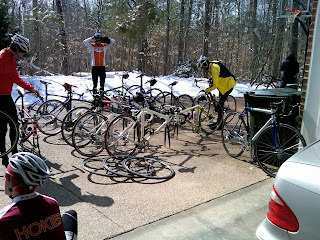 The team met in the commuter lot, loaded all 24 bikes in the cargo van and headed on our way toward Chapel Hill, NC. The van ride was a good time giving everyone an opportunity to meet new people and get to know one another before a very long spring season. I tried to snag some pictures of the van but they came out pretty blurry (I did figure out today though that my phone has an image stabilization feature that I didn't have on, so maybe they'll improve in the future). Hopefully better pictures in the future! 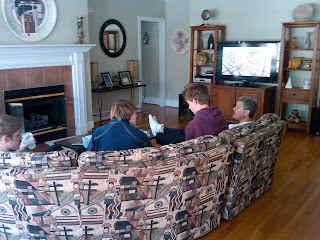 After a quick but very cramped three-hour drive we arrived in Chapel Hill at our host house, the family of a team alumni. 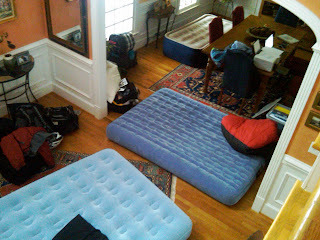 They were nice enough to host all 26 of us for the weekend and even had enough beds/inflatable mattresses/couches so that no one had to sleep on the floor. I counted 10 air mattresses. 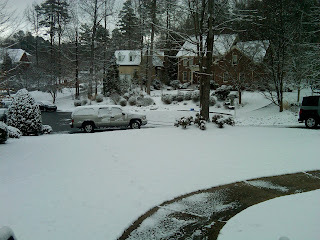 Waking up to snow when you're a kid is like "SNOW DAY! SNOW DAY! 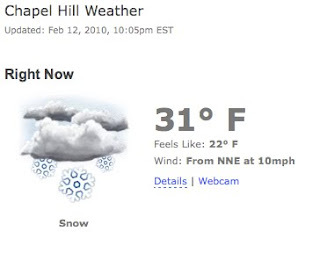 SNOW DAY!" today waking up to snow excited to race was huge bummer. We went to bed last night with it snowing but were optimistic that even with a light dusting we would be able to race. Not the case. 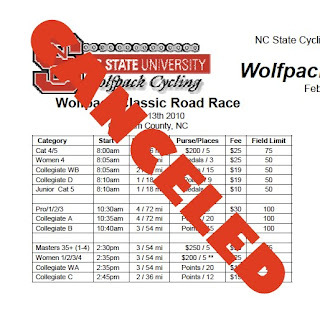 We quickly heard from a team member who's also works for ACC Cycling that the race had been canceled. To say the least we were all disappointed. 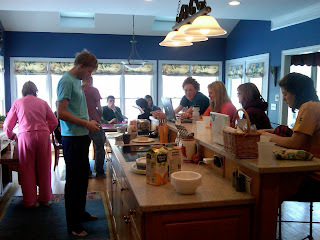 We all grabbed breakfast and Sat around watching TV waiting for the snow to melt. 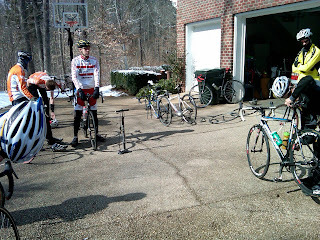 It funny what happens when you have 20ish cyclist confined to a house below is what ensued. 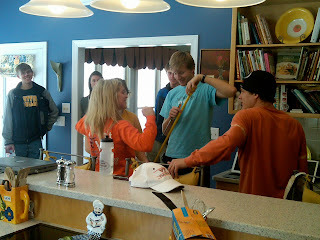 Everyone decided to measure wingspan vs. height and see if your wingspan was greater than or less than your height. 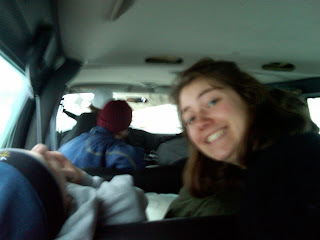 We decided enough snow had melted to go out for a ride so we unloaded the van and suited up to brace ourselves for the elements. 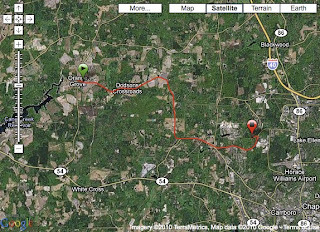 The team went out for various length, myself and a few others turned around at 45 minutes and headed back. Below is the race data from the PowerTap and the Garmin. 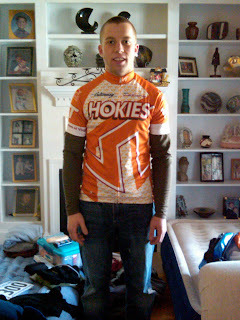 Last but not least we received a small portion of our clothing order and since I was at the first race I got one of the two jersey's I ordered. More tomorrow and hopefully a real race report! 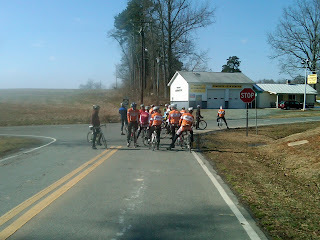 Posted by Unknown at 11:49 AM I'm reading from MyDailyGround: NC State Cycling Weekend Day 1 and Day 2 Tweet this!